Katherine Figueroa has been in the real estate and banking industry since a very young age working with clients, fellow real estate professionals and developers. She was born and raised in the island of Puerto Rico. While attending high school she enrolled in the young business professionals program and was assigned to work with the islands largest banking institution. She excelled inside her professional business program to which she was hired while still in high school to work directly under the banks CEO. She went on to spend the following years inside the banking institution and became a loan processor while attending the university of Puerto Rico. 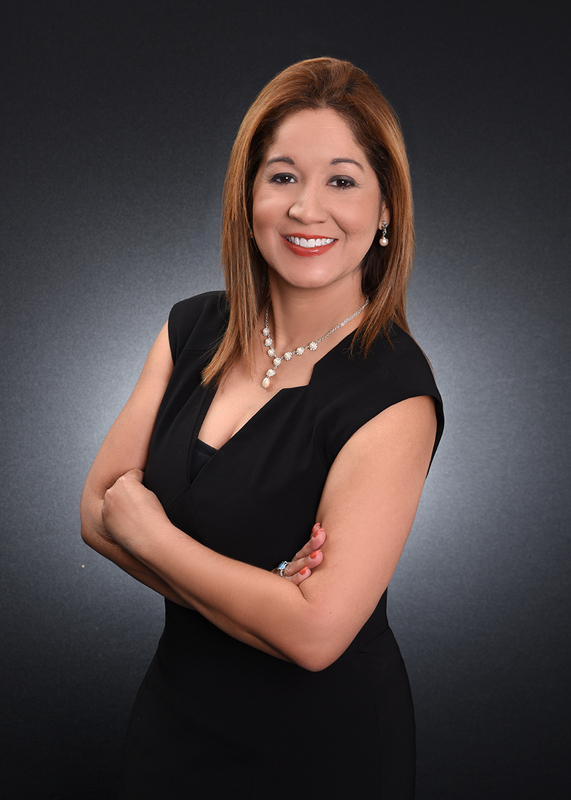 After studying at the University of Puerto Rico and working with many real estate professionals processing and coordinating their closing she decided to join the real estate industry and had a goal to excel in all aspects of real estate from sales to leadership inside the real estate industry. She was one of the youngest individual in Puerto Rico to obtain her real estate brokers license and open her own real estate brokerage were she has applied over 28 years inside the real estate industry as a broker owner serving a large cliental base locally and on a international level. She obtained over 9 real estate professional designations, served in leadership positions in her local, state and national boards inside the real estate industry. Has received many achievement awards, recognitions and recognitions for her professional service in her business and industry. She was appointed by the governor of Puerto Rico to Serve on the Puerto Rico Real Estate Commission. She relocated with her husband a long time Florida Real Estate broker to central Florida and apply her many years of experience and dedication within the Real Estate industry working out of the Coldwell Banker SW Orlando office as a broker associate. Experience in The Sale of the Luxury Real Estate Market while Broker Owner of a Certified Coldwell Banker Previews International Office In San Juan Puerto Rico Covering The Island of Puerto Rico under the franchise name Coldwell Banker KF Real Estate. Experience in Commercial and Land Development Sales Broker Owner of Coldwell Banker KF Real Estate Coldwell Banker Commercial A Commercial Division in Puerto Rico. Owner Director of KF Mortgage Financial covering the island of Puerto Rico offering home buyers home mortgages and financing. Appointed by The Governor to Serve On the Puerto Rico Real Estate Commission. Past President of the Puerto Rico Association of Realtors. Served On the Local Boards International, Commercial and Luxury Real Estate Committees. Member of The Orlando Regional Board Of Realtors. Recognized by The Florida Association of Realtors for Contribution the Florida Real Estate Industry while serving as President of the Puerto Rico Association of Realtors.